The AWD system is new to the 3, and honestly sounds pretty fascinating, since those systems have become so sophisticated these days. Obviously, it doesn’t mean all of the wheels are receiving power all of the time. 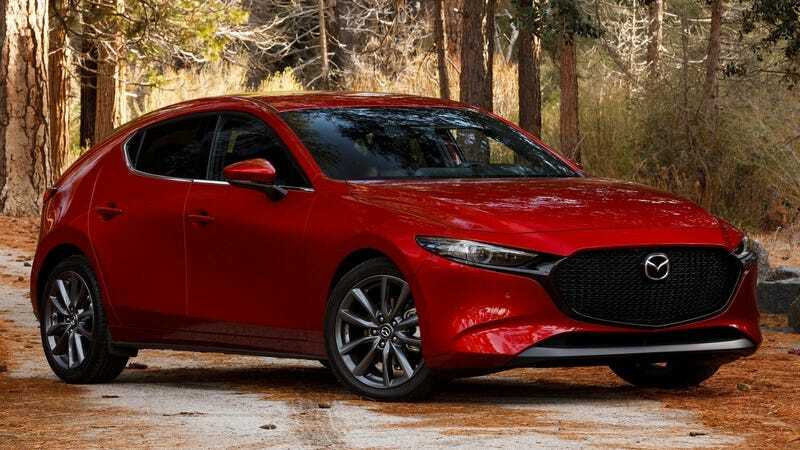 Mazda (and everyone else) calibrates its systems to maximize handling, meaning that if you’re going around a turn the system is supposed to engage the rear wheels in such a way that you won’t even notice but in such a way that will improve the handling in snow and ice conditions. The system is front-drive-biased here. Also, this is (allegedly) the quietest, smoothest, (best?) Mazda 3 ever. Anyway, what else do you want to know?